As a thank-you, we will be highlighting some of the wonderful people and businesses who are working hard to make this evening the best it can be. Today's interview is with Erin Whitney Moore of in.Salon and is.Salon, two of the 14 salons participating in SHINE! Please share a bit about in.Salon and is.Salon - when were they opened, what is the salons' approach/philosophy? We started is.Salon in 2008 with a vision to create an inspired environment, where creativity was rampant and education was supported. We wanted a space where we could all share ideas and let creativity flow. Where our clients could be given the best services we could offer, while still challenging ourselves to grow. We spend so much time at the salon, we wanted to create a family. 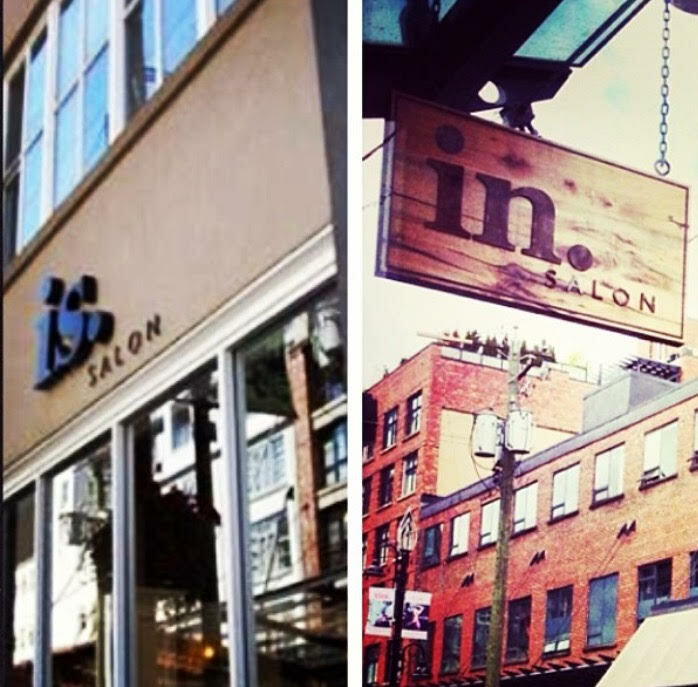 In 2013 our family grew, and in.Salon was born. Following the same ideals, we have expanded our family, and now service a much larger clientele. I was 22 when I started the process of opening is.Salon. I had no idea what I was doing. What I did have was an amazing supportive group of friends I call family, many of who still work with me, that were there every step of the way. We all helped build it together. This is why it has such a strong foundation. I have been lucky enough to have an amazing team that helped me to grow in.Salon in the same way. Between the two locations we have 50 staff and offer all hair services. We also specialize in extensions. What would you most like future clients to know about your two salons? WE LOVE HAIR. We take so much pride in what we do. We will do whatever it takes to be the best at what we do for our clients. Many of us have had the pleasure of knowing Dean for several years. He is such an amazing person and inspires us daily. We have all been touched in one way or another by mental illness. We are so happy to be invited every year to help bring more awareness to the cause so close to our hearts. For more information on in.Salon and is.Salon, please visit on of their websites at www.issalon.ca and www.insalonyaletown.ca.